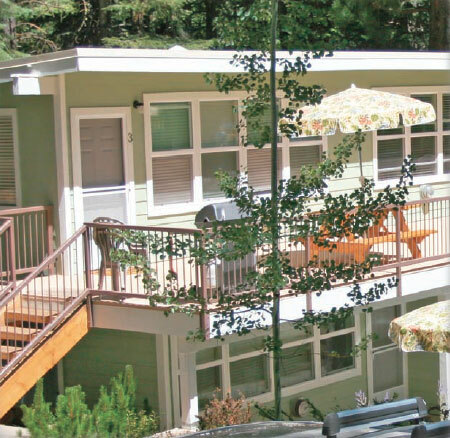 Whether you are planning a weekend getaway or a two week vacation, The Rooms at 412 offers you an opportunity to leave the city behind and enjoy the beauty of Lake Almanor and surrounding mountains. We cater to guests who are seeking an outdoor experience in one of the most beautiful locations of California. Lake Almanor has 52 miles of shoreline. The pristine water is ideal for all types of water sports including water skiing, sailing or fishing. 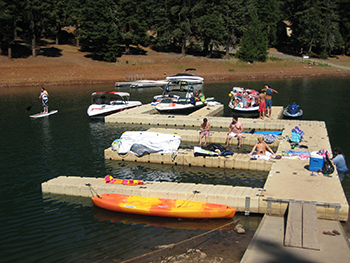 Bring the whole family and rent a pontoon boat for a leisurely day on the lake. Average summer water temperature is 60°F to 70°F. Evenings are mild at our elevation of 4,500 ft., and nearby restaurants offer a variety of dining experiences. We are open year round. So join us for summer sun, beautiful fall colors and winter sports. Before you leave, you’ll surely be planning your next vacation at The Rooms at 412. To make your reservations, call us at (530) 596-3348 or click here to email us!